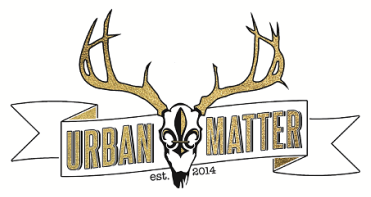 Urban Matter adopted a family for the holidays and we need your help! Bring an item for the family (it doesn't need to be wrapped) into the shop and we'll give you 10% off your purchases that day. Giving feels good, doesn't it? The family of 6 consists of a 40 yr old disabled single mother and her 5 children. Two of the children suffer from learning disabilities and attend special classes. The mom is unable to work due to her disability and thus has no means to provide for her children during the holidays. Any income she has goes directly to pay her rent and the families basic utilities. ​Mom is very appreciative of any help we can all give! Basic cleaning supplies: laundry detergent, dryer sheets, bleach, dishwashing liquid, toothpaste, kleenex, paper towels, toilet paper, kitchen towels, bathroom towels, trash bags, disinfectant wipes, etc. Hygiene products and toiletries: body wash, soap, toothpaste, mouthwash, etc. Food assistance from Schnucks, Shop n Save & Aldi's. ​Utility assistance: if you would like to make a donation towards the family's bills, we recommend you use the online donation system found at www.wumcrc.com. Funds will be made available immediately to families whose utilities are already disconnected or on the verge of disconnection. ​This family was adopted through the Washington University Medical Center Redevelopment Corporation. ​All gifts will be delivered to WUMCRC Dec 19 and WUMCRC will deliver the gifts to the family December 20 or 21. On a program note, any individuals making donations totaling $250 or more will be asked to complete a Monetary Donation (tax) Form .